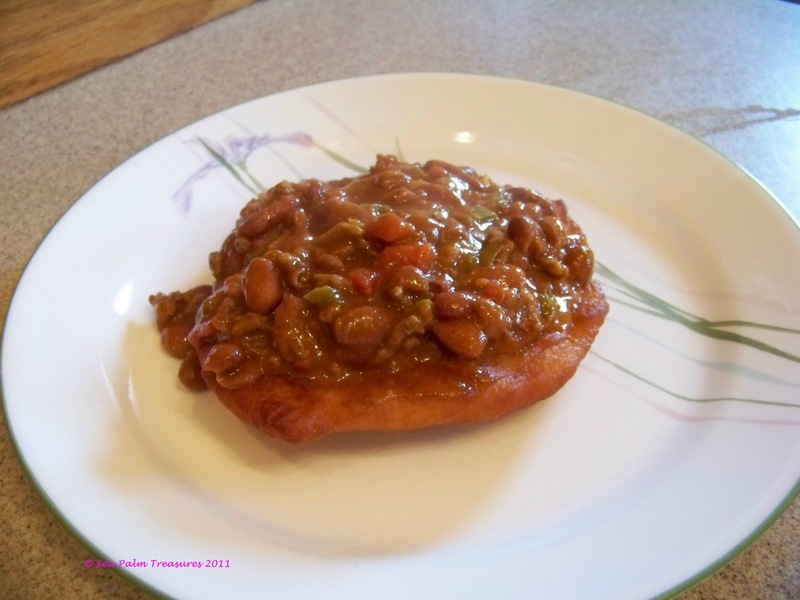 Now that you know how to make a great Chile, you can use it to make some Navajo Taco’s. Of course if you like your Chile straight up in a bowl with some chopped onions and cheese on top, this may not appeal to you. 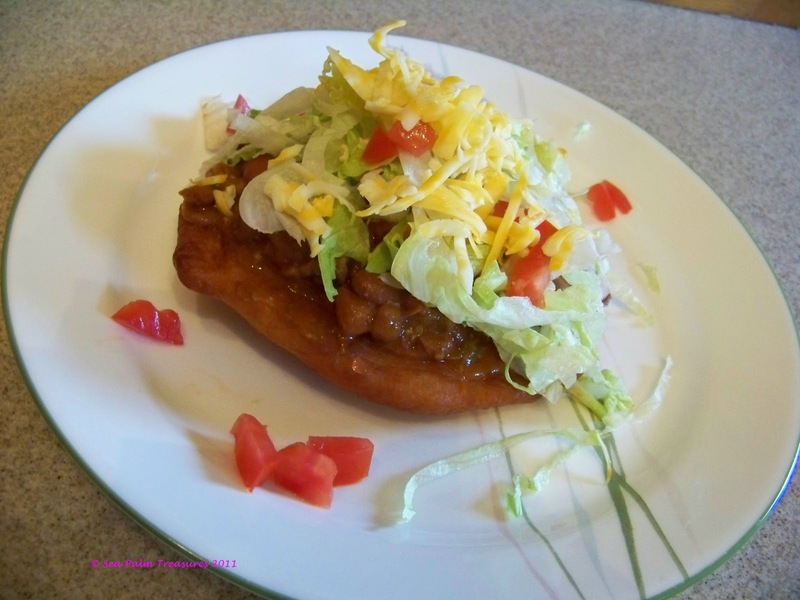 I met my first Navajo Taco at a State Fair, and fell head over heels for them. I would wait in anticipation for the next year so I could get another one. Then a local restaurant opened up and I could go there for my fix. Now I’m not sure just why I thought I could only have this dish at a restaurant or at the Fair, but somehow I did. Then one day it hit me, I could make this on my own. Whoo Hoo. So I did, and now I’ll share it with you. In fact, I prefer my Chile served like this now. To start with, make some good Chile, either my Firehouse Chile or your favorite recipe. 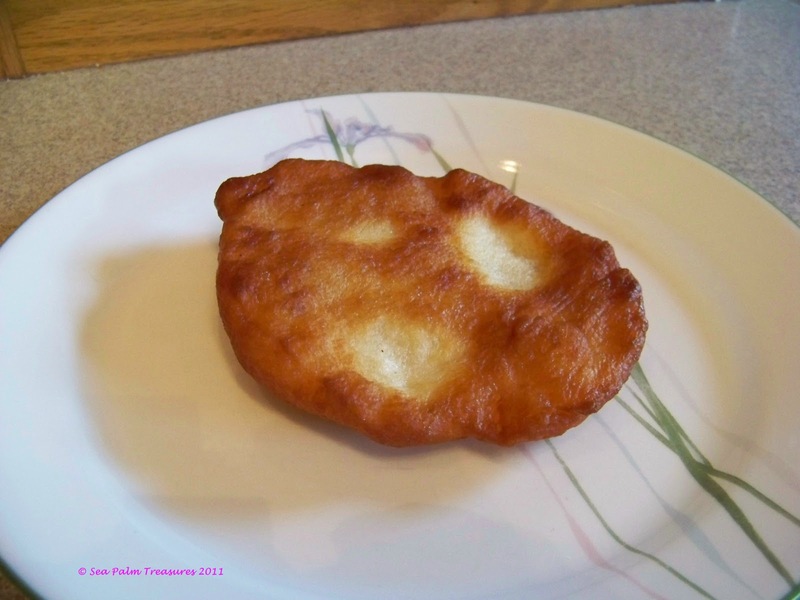 Make some Frybread, either by using a good frozen bread dough, thawed and rolled out or patted out into a large thin circle, fried in some oil. 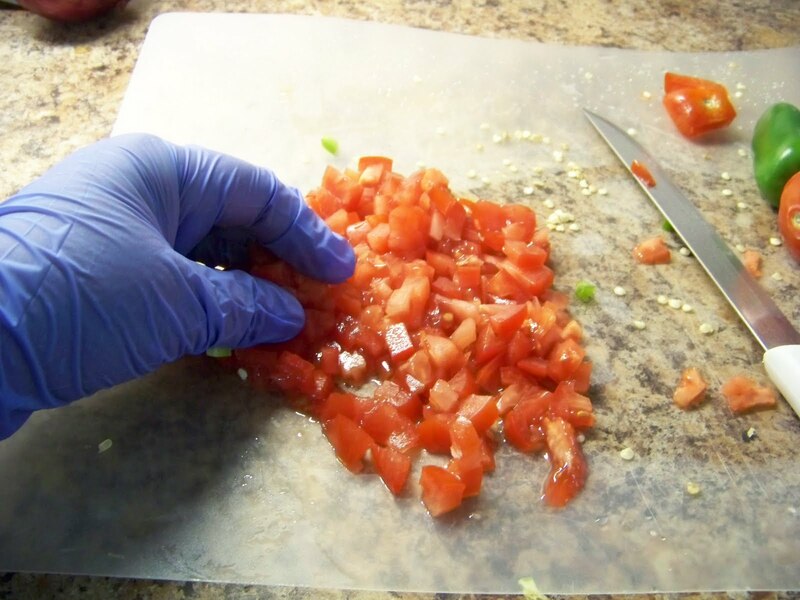 then add some shredded cheese, some shredded lettuce, diced tomatoes, a spoonful of sour cream if you want and dig in. Now, since that made me hungry, guess what I’m going to go and have, yup some breakfast. 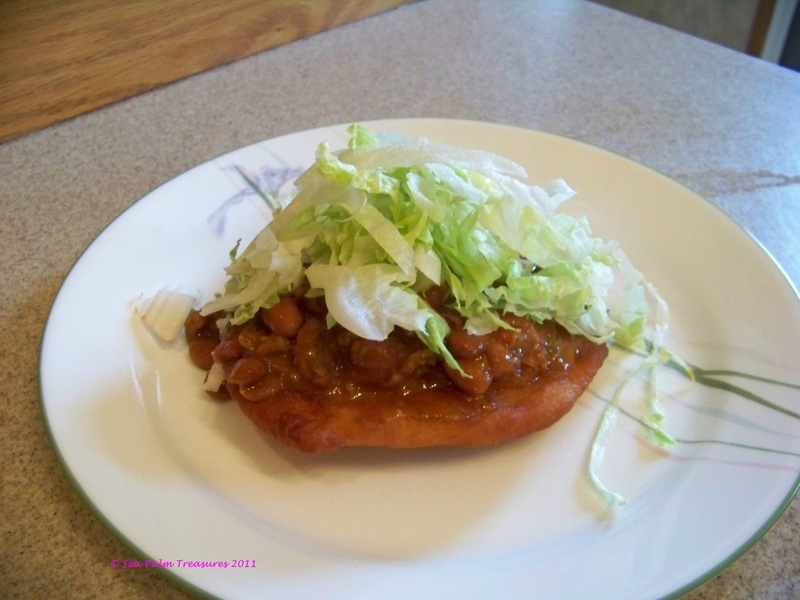 But we’ll be having Navajo Taco’s again soon. 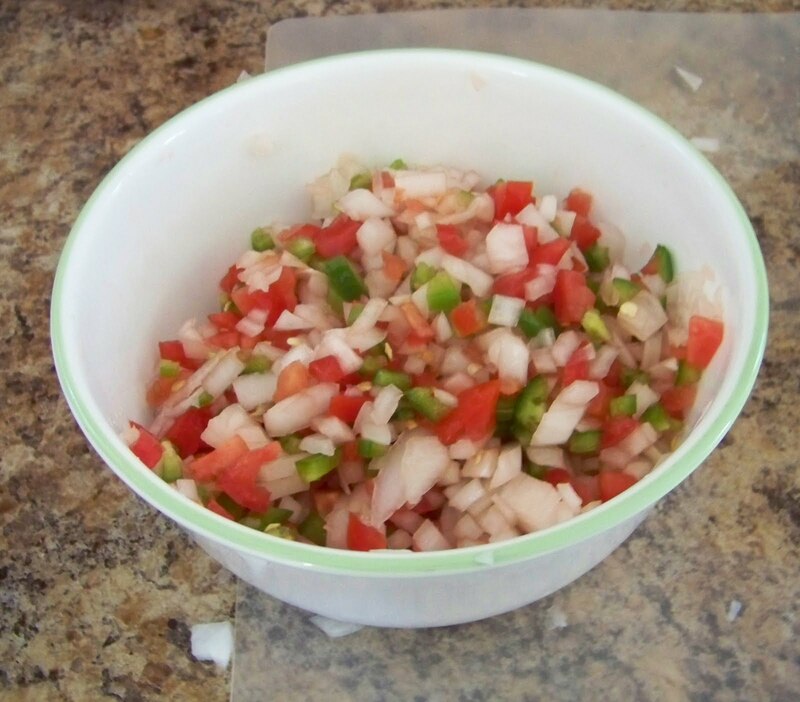 I love Pico de Gallo, and in fact have been know to make it up on a whim, just because. And then have proceeded to eat half the bowlful. Which isn’t as bad as it sounds, cause Pico de Gallo is basically just onions, tomatoes and jalapeno’s. And so long as you don’t load up on chips, you don’t need to worry about the calories. Pico de Gallo is just plain good food. I’ve actually posted the recipe here but it was buried in a post about Acapulco chicken. And that was not fair to it. I think it deserves its own post. So there! 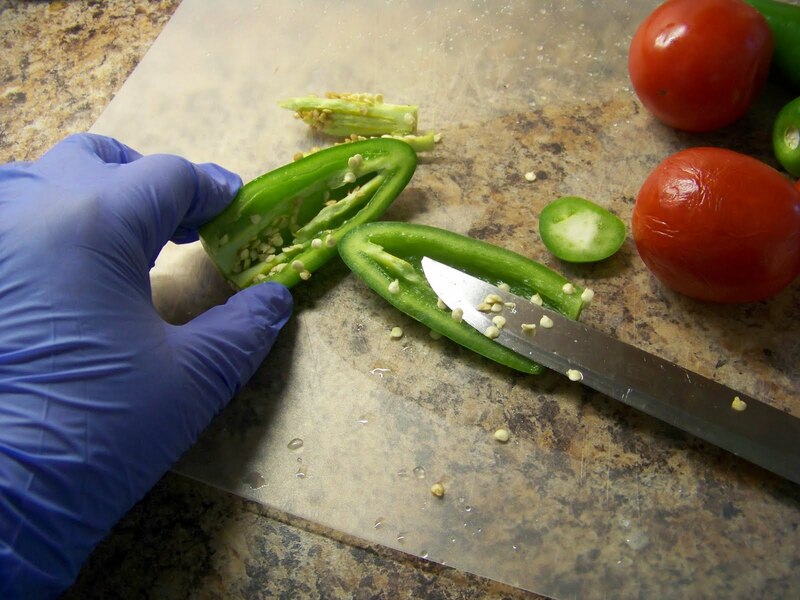 First up, get out your trusty gloves, you don’t want to be messing with jalapeno’s unless you’re properly covered up. Trust me on this one. It is very important, unless of course you’re into pain, at which point just go ahead and disregard this. Just kidding, but I’ve made the mistake of rubbing an eye when I’ve had Jalapeno juice on my hand and the agony, totally not worth it. Start by getting your ingredients together. And nothing in this is really exact because you’ll be making this for you, and whatever your heat tolerance is. 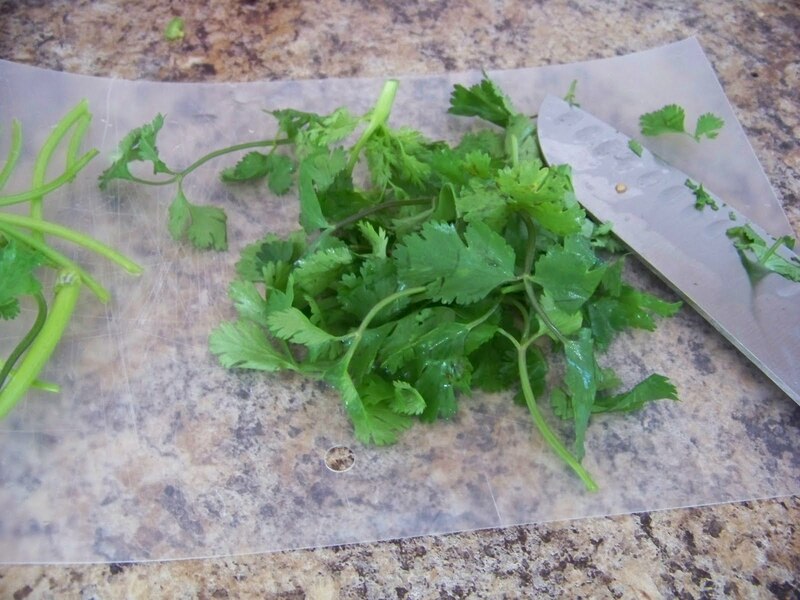 You want some lovely fresh jalapeno peppers, a couple of tomatoes, an onion, cilantro, lime and salt. 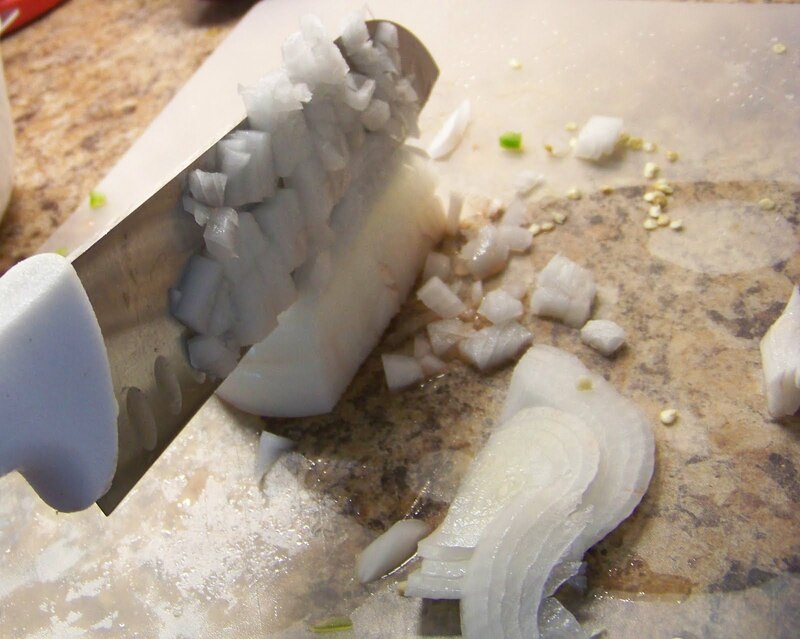 Start by dicing up a Roma tomato or two, depending on how much you are making, you want a fairly fine dice, then dice up a white onion, again a fairly fine dice. And now for the fun, depending on your tolerance or love of heat, you want to mince or very finely dice 1-3 jalapeno’s. 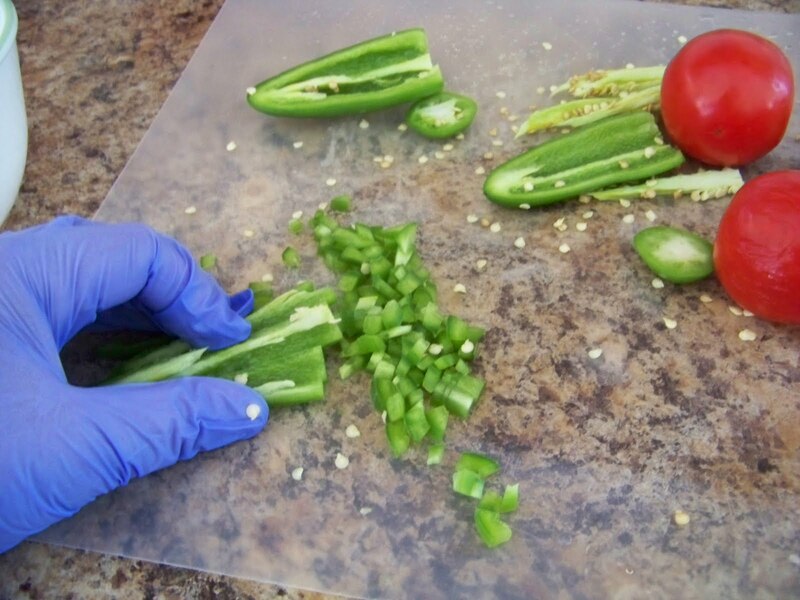 Start by whacking off the stem end, slicing them in two lengthwise and then cutting out the seed and membrane. and about a half teaspoon of salt, or less to start. Stir it all up and taste. You can always add more jalapeno’s or tomatoes or any portion to make it to your taste. This is your Pico de Gallo after all.